Hey Guys, Looking for a team to join on a weeknight, had some experience playing Futsal and have also played soccer at club level. Looking for somewhere on in the south east suburbs. Thanks. Hi there! Seeking to join a group of people that plays weekly matches. I have experience playing in amateur leagues in Chile. 29yo striker. Location: Cairns and Northern beaches. Experience: I've played since I was a kid Availability: Nights. Cheers! I am Hiroto Hayase from Japan. I'm 21 years old. I live in Melbourne CBD to study English. I cannot speak English well now. I will stay here until January 2018. I have play soccer since I was 8 years old. I usually play as midfielder or striker. So I am looking for soccer club. If you are interested in me, Please send me message. Swedish baller. Staying in Melbourne for a year. I'm 186cm and have played football (soccer) since I was four. Now I've had a gap for 6 months. But will be in shape after a week or two. I was a really good player at high-school, I haven't been playing much since, but I think I can do well. I really would like to start playing again, once or twice a week, any place in Adelaide should be ok.
Fitzroy Vipers Futsal Club are looking for players of all abilities to play in either our competitive or social teams. All players are welcome. 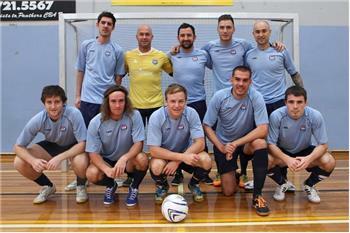 We play on Wednesday nights at Futsal Oz Brunswick.